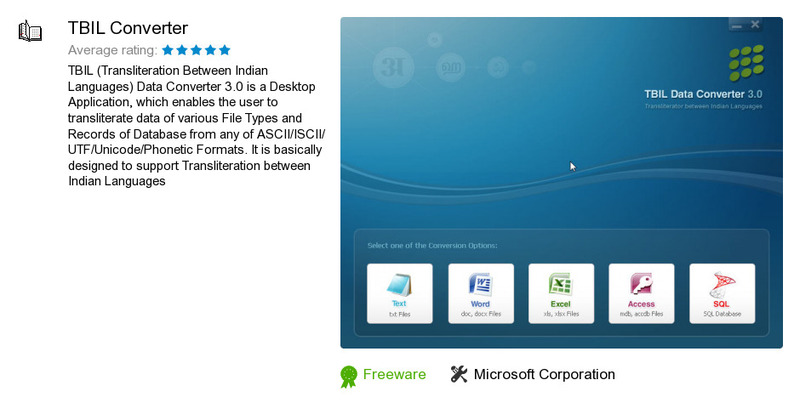 TBIL Converter is a software product developed by Microsoft Corporation. We know of versions 3.0, 2.0, 1.0. Version 3.0 is available for download at our site. TBIL Converter installation package has a size of 7,160,647 bytes. Microsoft Corporation also publishes Microsoft SQL Server 2008 Upgrade Advisor and Microsoft Outlook Personal Folders Backup.